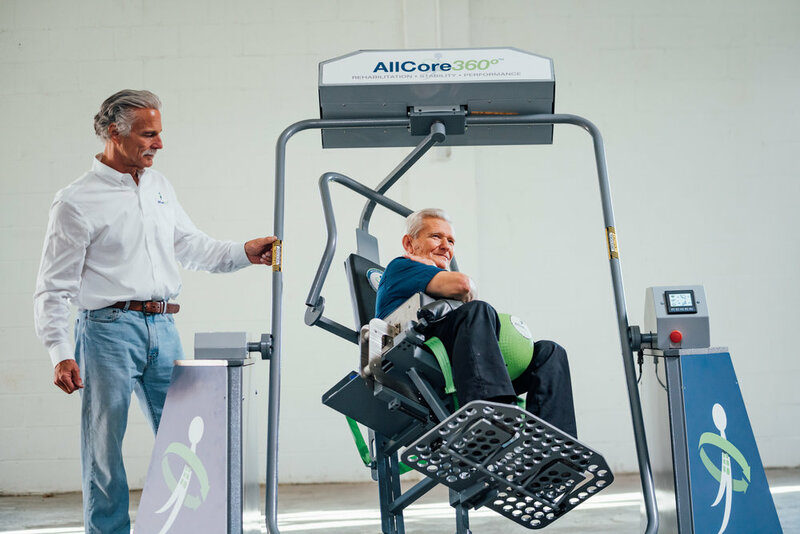 The AllCore360° empowers patients, seniors, athletes and everyday people to train over 50 core muscles in a new more efficient way – to recover faster, improve fitness and enhance physical performance. AllCore360° harnesses the forces of gravity to train all of the body's core muscles in a no impact, balanced, and coordinated fashion. By using isometric contractions to resist gravity, riders engage and train even the smallest internal core muscles while performing a 360° plank. Prior to using the AllCore360, I had terrible sciatic pain and my posture wasn’t the best. After using the AllCore360 for 2 months, I have lost 6 pounds of body weight, strengthened my entire core, improved my posture, and lessened my sciatic pain. I couldn’t be happier with the results! Interested in bringing AllCore360º to your business or organization? Get in touch now – our team is ready to help with everything from installation to support so you can grow.